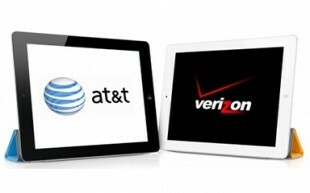 iPad 2 – Verizon or at&t, which Network to Choose? Verizon lovers and at&t fans will all be satisfied the day of the iPad 2 launch, as the device will give them the choice between the two wireless providers from day 1. But for the rest of us who do not really care about the network name, and care more about quality of service, speed and coverage, which network will be best for our brand new iPad 2s? There is no simple answer to this question. Verizon claims to have a superior, larger 3G network, while at&t claims to offer higher 3G speeds. Truth is, Verizon’s network has been fairly immune to the “iOS effect” so far, and never had to deal with an extremely high amount of data-hungry users flooding its network overnight. One could argue that at&t could have been better prepared, as the phone giant indeed under-estimated the impact of the iPhone and the iPad on its network, but when the first iOS-powered devices launched, nobody expected such a surge in data usage. Almost four years after the launch of the first iOS-powered device, both Verizon and AT&T increased the capacity of their respective networks, and when it comes to quality of service, the difference between the two is not as dramatic as some people believe. 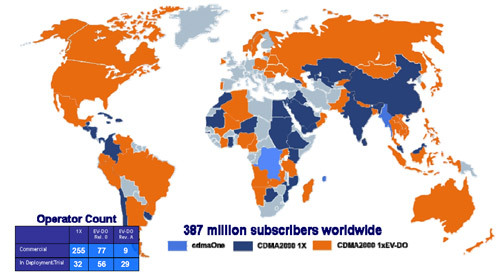 If you’re hesitating between the two networks, the easiest way to pick is to take into account local, national and international coverage, as well as cost and caps. Cost and Caps Regardless of the wireless provider you pick, the iPad 2 will come contract-free, and users will be required to pay a flat monthly fee to be keep their 3G connection active. at&t offers both prepaid and postpaid options, while Verizon only offers prepaid plans for now. As for the actual data plans costs, the two wireless providers offer distinct options, ranging from about 6¢ per MB, to less than 1¢, depending on the plan. Verizon offers four plans, 1 GB for $20 per month, 3 GB for $35 per month, 5 GB for $50 per month, and 10GB for $80 per month. at&t only offers two plans, 250 MB for $15 per month, and 2 GB for $25 per month. In short, users who consume a lot of data should pick Verizon, while frugal users might want to pick at&t instead. Local coverage Go with the provider offering the best coverage and best throughput in your area. If you do not travel much, the size of the coverage maps does not really mater, what matters most is the kind of coverage you will have on a daily basis. Ask your friends, colleagues, and family, perform a couple speed tests in your area, to see which network is best for you. For local coverage maps, see Verizon‘s and at&t‘s respective websites. 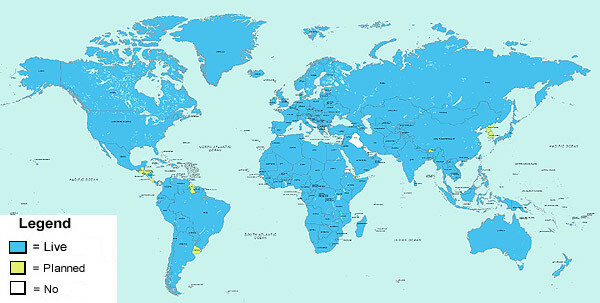 Domestic travelers If you happen to travel a lot within the U.S., the coverage maps are important. 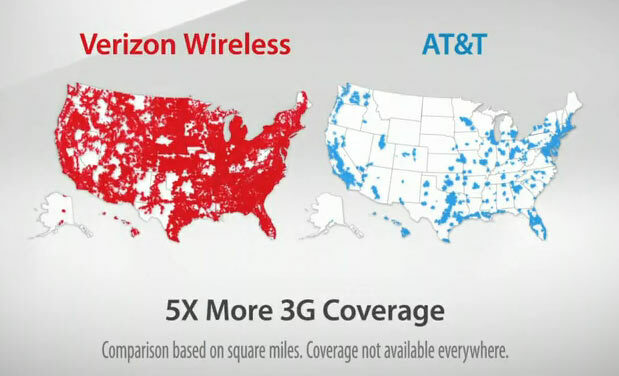 According to independent studies, Verizon’s 3G coverage is more widely available and more consistent than at&t’s. However, at&t consistently beats Verizon when it comes to data throughput, in the markets where both operators offer 3G coverage. International travelers at&t relies on GSM/UMTS/HSPA, a technology widely available throughout the world, while Verizon relies on CDMA/EVDO, a technology that only works in a handful of countries. If you happen to travel a lot abroad, at&t will likely prove to be a better option for you. While the original iPad only supported three frequency bands for UMTS access (850, 1900, and 2100 MHz), the iPad 2 will support four, as thanks to a new wireless chip from Qualcomm, the 900 MHz is now supported as well. The additional frequency will allow iPad 2 users to be able to roam on even more 3G networks while abroad. Also note that since the iPad 2 natively supports both CDMA/EVDO and GSM/UMTS, we wouldn’t be surprised to see Verizon eventually offer a ‘world’ option, that would allow iPad 2 users to roam on GSM/UMTS networks while abroad, even though those users would use Verizon’s CDMA/EVDO network while in the U.S. After thoughts Users who wonder whether they should choose at&t or Verizon should simply look at basic facts, instead of listening to all the hype. Each situation is unique, and what works for one user might not for another.